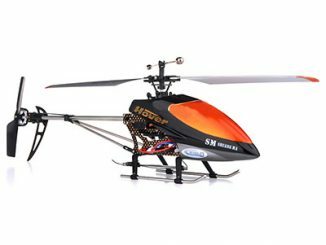 The HoverSpy Video Cam R/C Copter is a radio-controlled helicopter, capable of flying indoors or outdoors up to 150 feet high, that features a built-in gyro and a small embedded video camera. 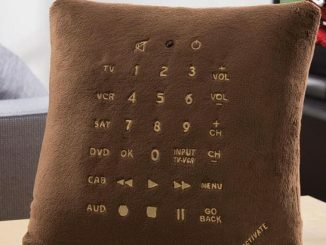 Simply press a button on the remote to start and stop recording. Later, download the video to your laptop and enjoy the view. 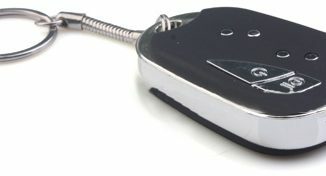 The Hoverspy stores all the video on an included micro SD card. 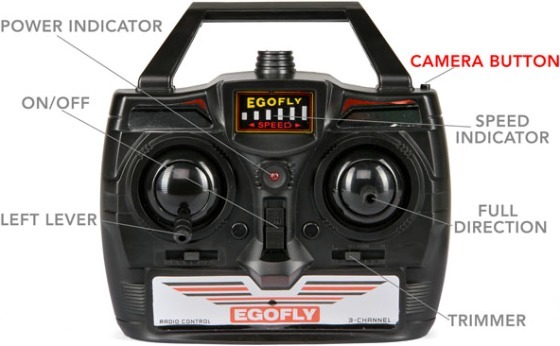 The remote works via radio frequency rather than infrared allowing you to control the copter hundreds of feet away. 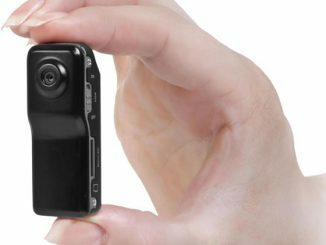 The built-in gyro allows precision turns and rock solid hovering for great photography abilities. Included 1GB Micro SD stores 40 minutes of video. Add your own card for longer recording time. 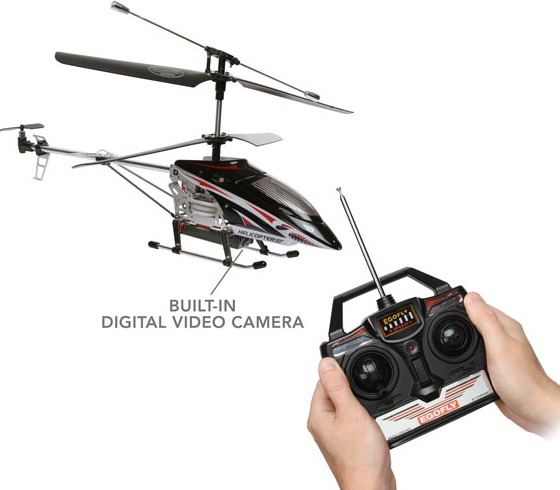 The HoverSpy Video Cam R/C Copter ($79.99) is available over at ThinkGeek. Charge time is more than 75 mins (common with LiPolys). Still need to try it outdoors (after storms pass). 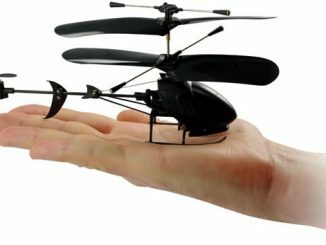 Yeah, but who makes the copter? 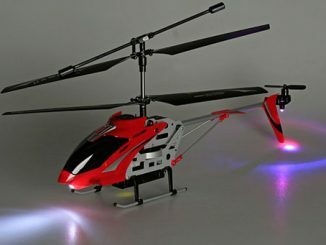 I got this helicopter and when idling/hovering it keeps trying to go backwards without touching the backwards control. That and when I try to make it go forward, it moves super slow. Almost like there is too much backwards momentum that its fighting against. Anyone know how to correct this? I received this toy today and wanted to post my initial review. The helicopter appears to be built decently as it hasn’t broken on crash landing (yet). 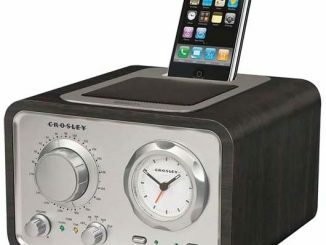 The battery life is terible, but the website did say 7 minutes. 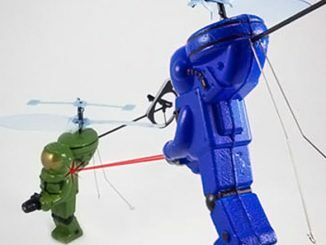 It is difficult to get the helicopter to move forward. As John posted it wants to go backwards when idling. When trying to move forward it’s very slow to do so. Backward movement is far easier. The charge time is way longer than 10 minutes though. 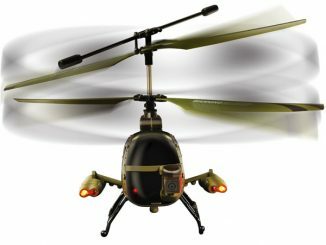 After a 20 minute recharge the helicopter only flew for 3-4 minutes before it was to low to gain any altitude. The picture quality from the camera though is quite amazing. If you’ve seen the clarity posted in the youtube clip then you’ve seen what this it can do. More to come. 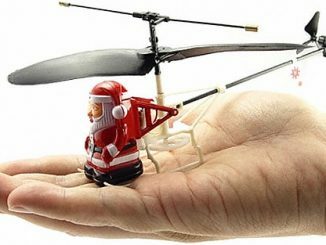 Can someone tell me where can I buy parts for this chopper. I need lower blades and lower blade grips. so someone can help with this part issue. and thank’s to those that can help. Got one a few weeks ago.